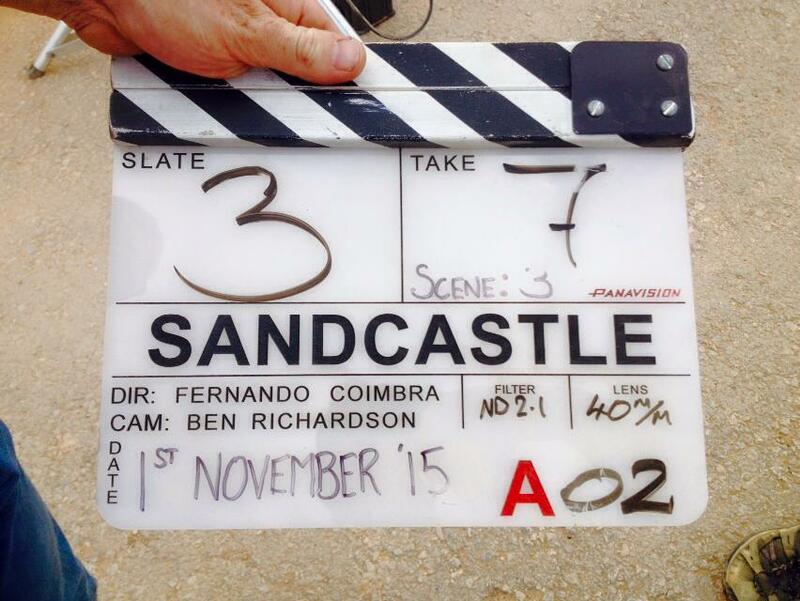 Sand Castle has begun filming in Jordan! Director Fernando Coimbra shared the first pic from the set, and that was followed by a tweet from screenwriter Chris Roessner, whose life the film is based on. production day 1 in the can. sleep now. "News from the front. Sand Castle taking shape. Incredible week of tests with the actors." Notícias do front. Sand Castle tomando forma. Semana incrível de ensaios com os atores. The tricky part with this shoot, is that we don't really know how big or small Henry's role is in the movie. So while filming is set to wrap January 2, there is no way of knowing if Henry will stay in Jordan the whole time, or fly back and forth from London depending on when he's needed on set. Hopefully now that he's on Instragram and Facebook, he'll keep us all in the loop. In between his posts we'll continue to bring you the very latest from Jordan, including updates from the rest of the cast and crew. This movie is looking like a real winner, and you know Henry is gonna rock his role! @HenryCavillNews thanks for the support!! UPDATE 11/2: Logan Marshall-Green today shared his view from the other side of the world. Be safe you guys. Someone has managed to write the date correctly on the clapperboard. Another member of a very rare group of people. Henry needs to get more serious roles or his career will suffer. He needs to look beyond Superman. I hope he doesn't get typecast. Henry said he wouldn't (In an interview) mind getting typecast for superman and a superhero. And I don't know what you mean "Henry needs to get more serious roles or his career will suffer." He's playing a military captain in this movie (Sand Castle),and he played a CIA agent in his last movie (The man from U.N.C.L.E). So I don't understand you saying " He needs to look beyond Superman". Oh, and he wants to be the next James Bond (So he not only doing or looking for Superman roles).